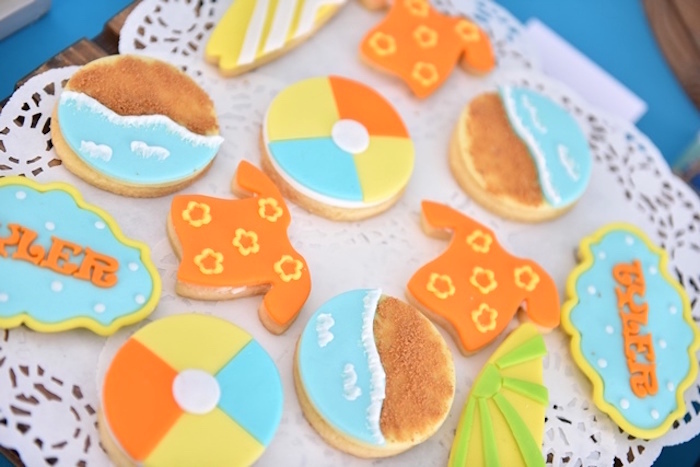 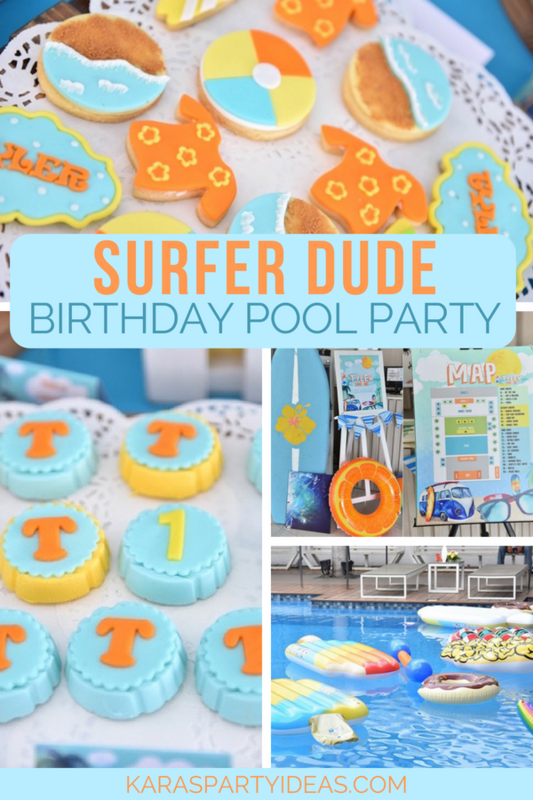 Grab your board shorts and surf board too, this Surfer Dude Birthday Pool Party is way too cool! 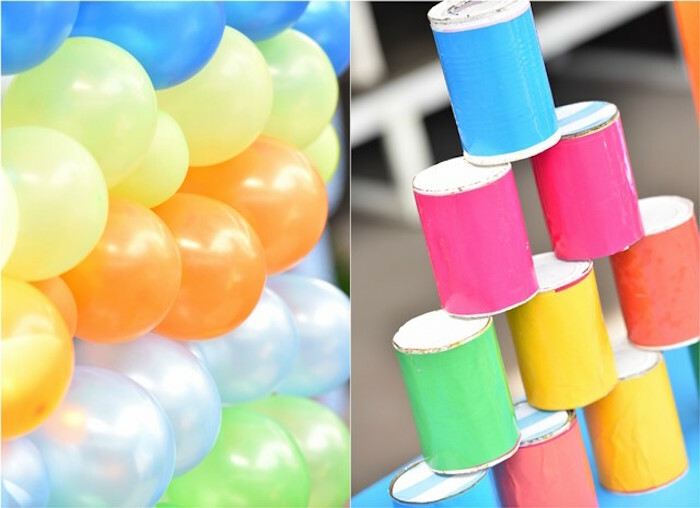 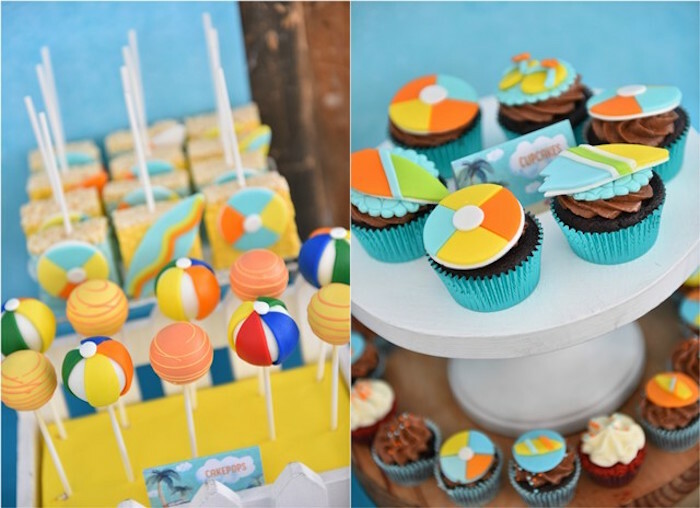 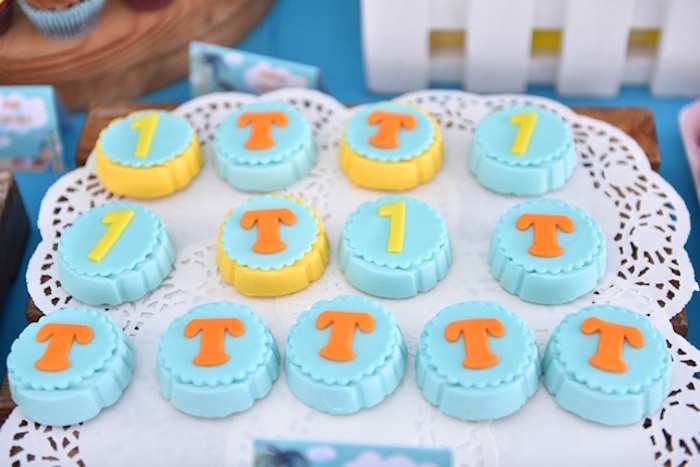 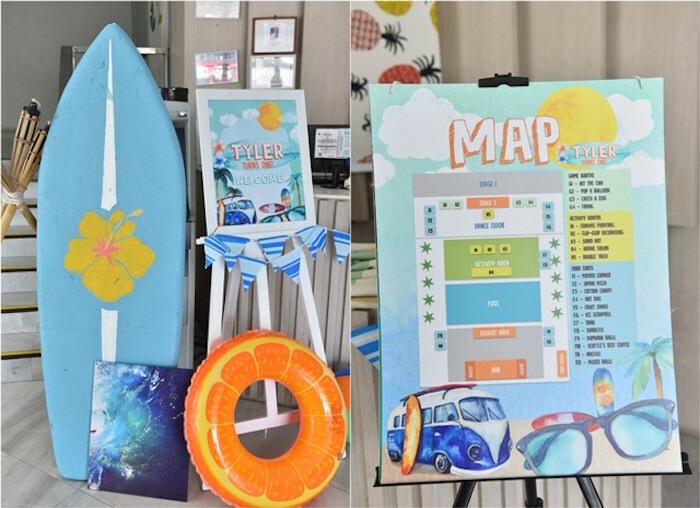 Styled by Jo-anne Wong of Party Doll Manila Events, out of Manila, Philippines; this beachy bash is full of details to splash around in! 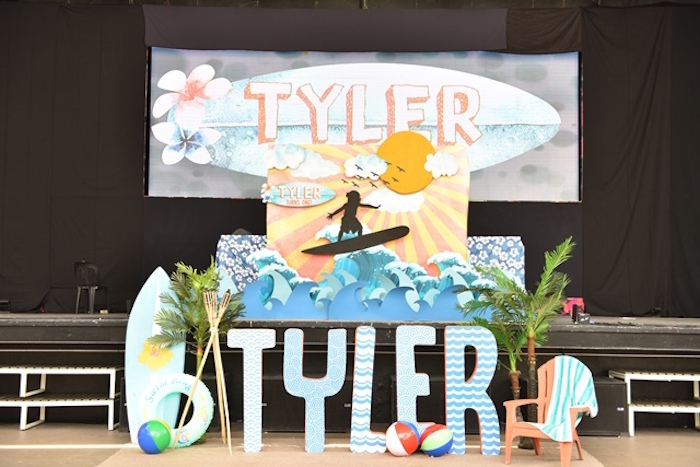 “Totally tubular!! 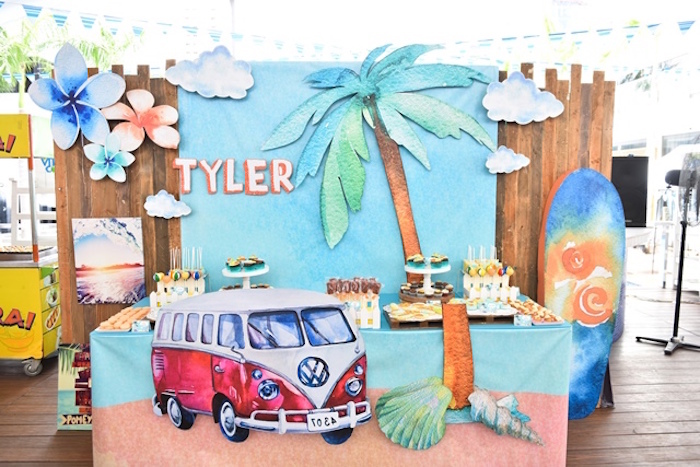 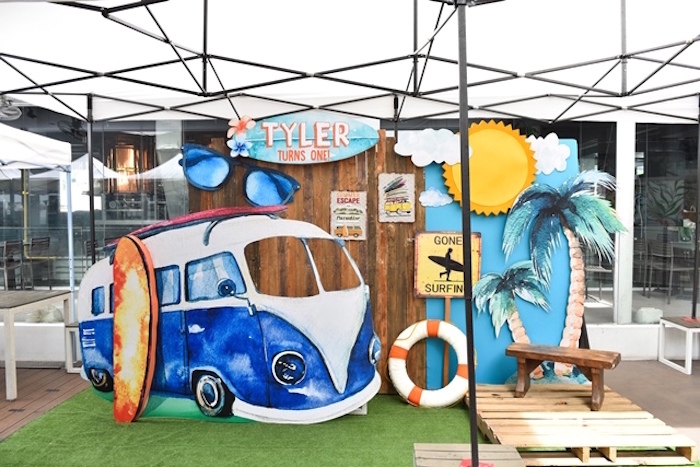 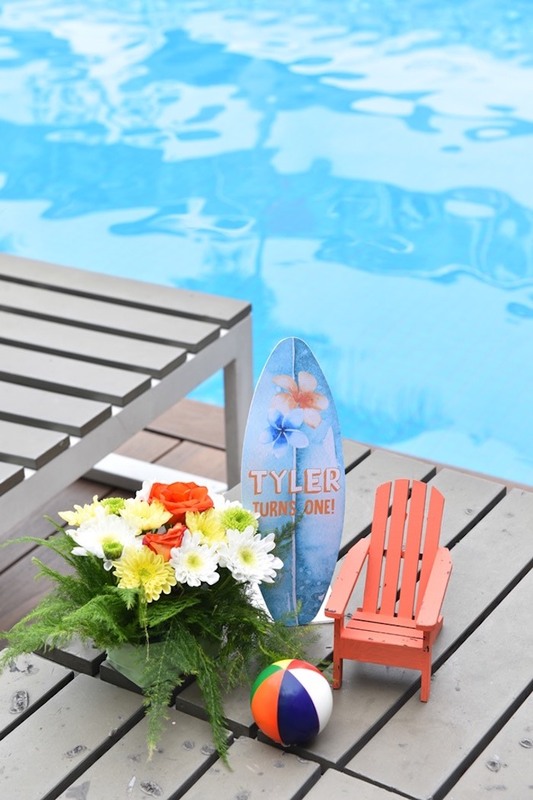 Tylers ultimate surfer birthday bash is so awesome, its making tidal waves all throughout the party-sphere! 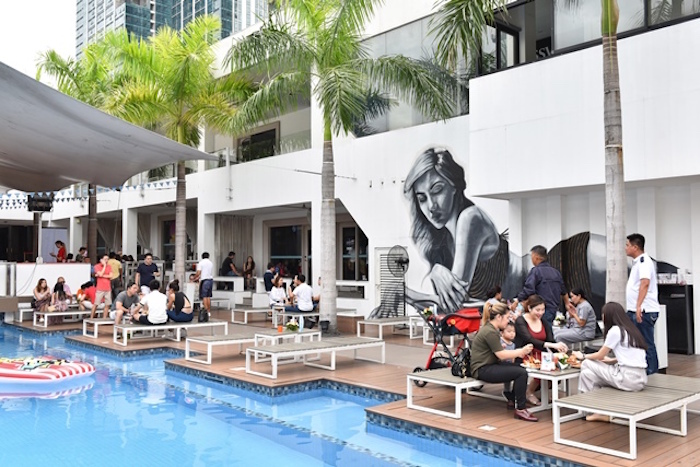 Its the perfect day to ride the waves, as guests head on to the impact zone  one of Manilas premiere party place, the Palace Pool Club. 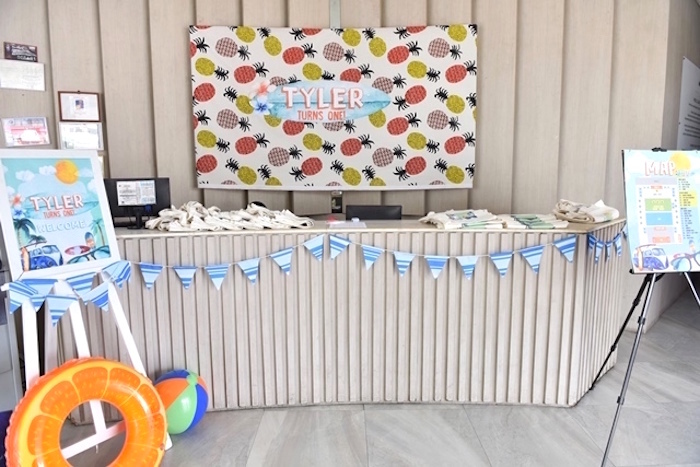 What made this party really stand out was that there was no rigid program to follow; the atmosphere was set off as if the guests were in a beachside fair. 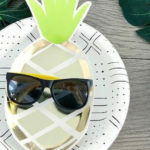 You know what this means, right? 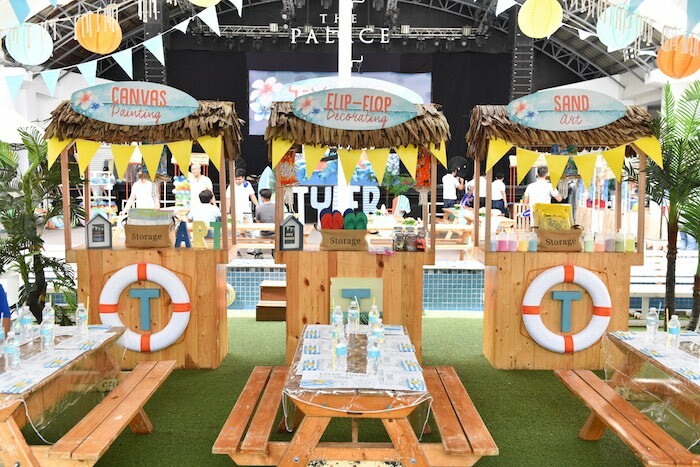 It means no schedule to follow; anyone can eat at any time, anyone can have fun at the booths as much as they want, and anyone can enjoy the pool as long as they wish! 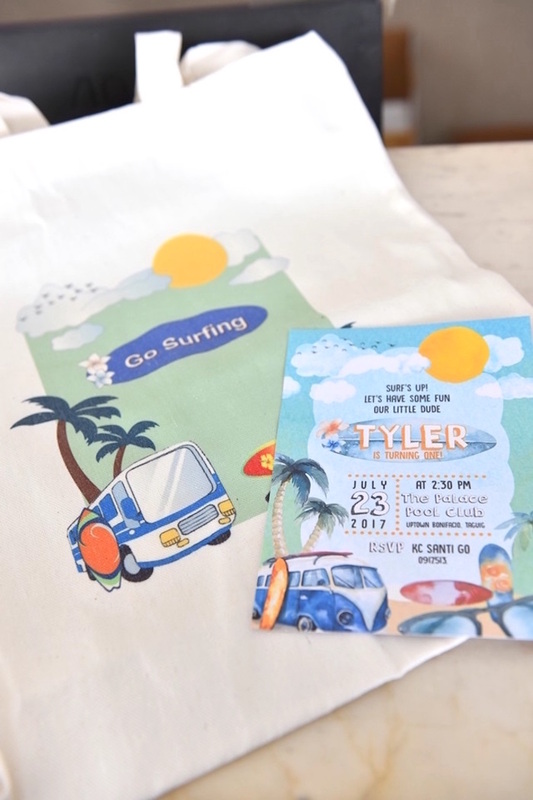 Thanks to the creative DNA of Dianne Khu, the venue was primed as a surfers dream turf. 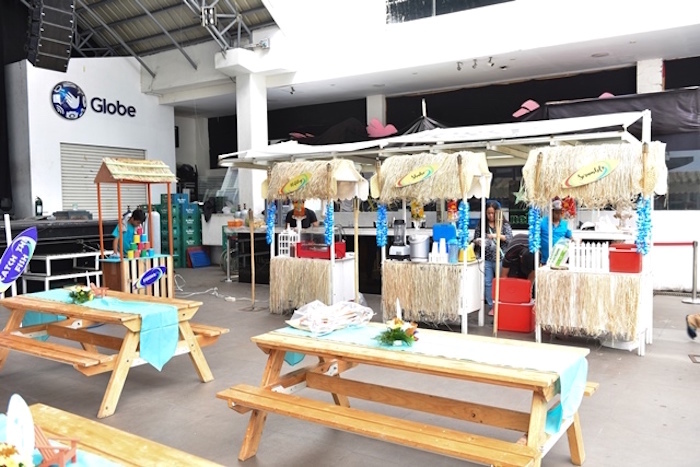 The open space provided natural sunshine, which was critical to any surfer-themed party. 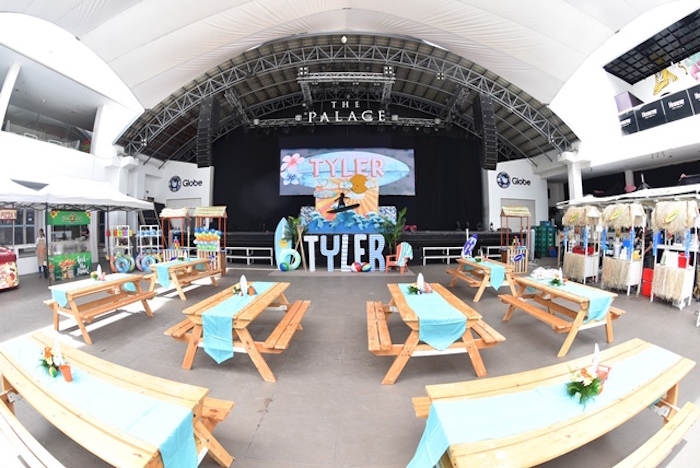 Perfectly curated beach elements were fixated on selected areas, to highlight the venues focal point: the ginormous swimming pool, complete with delightful and colorful floaters!” It was a good setup for the joyful experience! 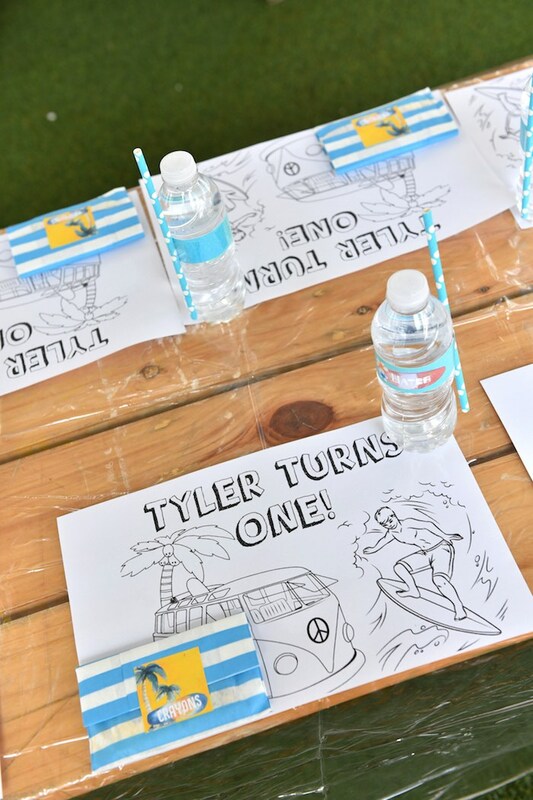 Catch the wave with all of our surfing party ideas here! 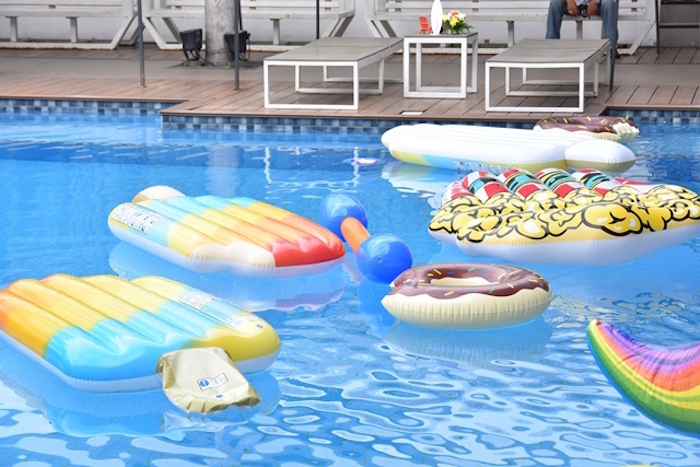 Very amazing, birthday pool. 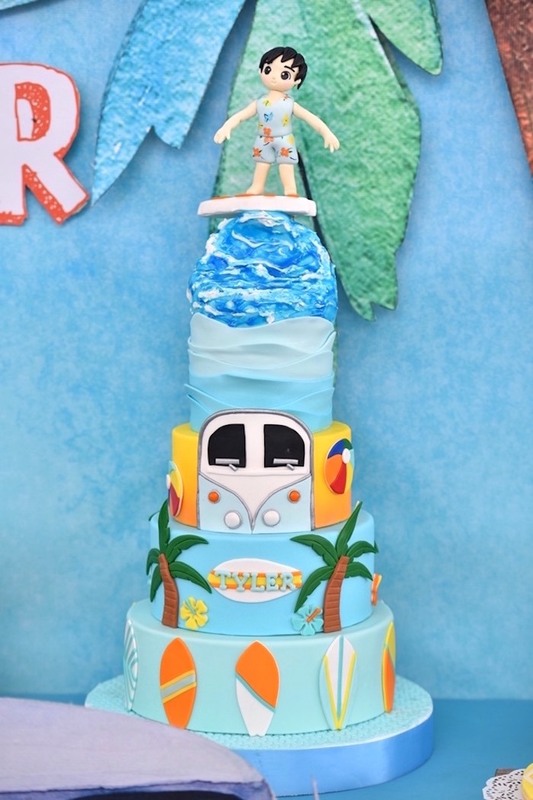 This surfing would certainly help them up.